Free wine tasting. Full Glasses available for purchase. Just in time for Spring. 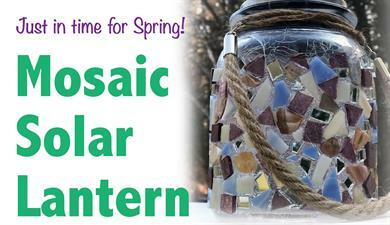 Make your own hanging solar lantern using mosaic tiles! Perfect for outside or indoor decor.